Planning your 2019 wedding and looking for that extra something special to make it truly unforgettable? We’ve forecasted five 2019 wedding trends to incorporate into your table decor, floral design, reception styling, and more! This year will find many couples opting for a more down to earth style when it comes to table decor, more specifically, centerpieces. Bringing the outdoors, in! Viridity from plant foliage and hearty herbs will compliment a wide range of colour schemes and will add a sense of freshness to the table. The cherry on top? Plants and herbs from your local nursery will work out to be more cost effective compared to bouquets of cut flowers from a florist, and after the wedding you can plant them in your newlywed home! Last year we saw many Autumn and Winter weddings with a stunningly deep, moody, tone which complimented the season and added warmth to the special day. This year we will continue to see these vivid colours but throughout all Seasons. Spring and Summer offers many brides the opportunity to add some contrasting burgundy and plum shades to their otherwise tame pastel palettes. Ladies, Pinterest boards will be overflowing with burgundy inspiration! When we talk about “lighting contractors” at weddings it’s hard not to picture lasers shining multi coloured beams from the ceiling and strobe lights on the dance floor. We have moved a long way from that and this year there will be a high demand for custom light projections to compliment your wedding style. Whether it be floral features on the wall or a ceiling full of stars, there are few limitations of what you can do with a good quality projector and the right people to set it all up. Alongside drones, smoke bombs have quickly risen to become a wedding photographer’s new favourite toy. This playful prop is extremely versatile. You can coordinate smoke bombs to your wedding colour palette or do something completely different and get your groom to mix and match colours. Create a smokey outdoor backdrop by placing 4 or 5 smoke bombs in line behind you. If you are planning to hire a videographer at your wedding then smoke bombs are imperative for those cool slow-mo shots. 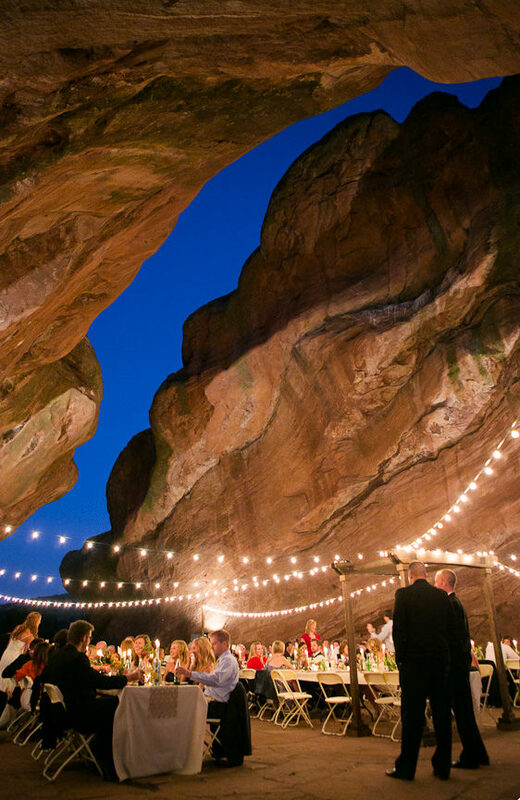 Destination weddings take a back seat this year as couples focus on astonishing their guests with eccentric and unique venues. It’s all about making something out of nothing. Think vineyards, pirate ships, lighthouses, caves and even glaciers. Although this concept seems a tad over the top, with a proper team of planners (or family members) behind you, it may be easier to pull off than you think. Will you be incorporating these trends in your wedding?